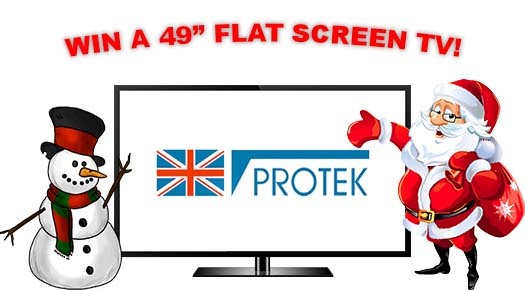 Protek are offering electrical contractors the chance to win a 49” flat screen television in time for Christmas. All that is required to be entered into the Christmas draw is to purchase one of three Amendment 3 items from Protek’s fast selling range of products. That could be either a garage unit, a 17th edition 5/5 metal consumer unit or a 17th edition 6/6/2 metal consumer unit. You can either download a competition form Here, wait until you have one delivered by e-mail or complete one in one of our many Protek authorized stockists found Here. The full rules for entering the competition can be found on the Entry Form and a list of your local stockist can be found on our website. The winning contractor will receive their television by Wednesday 21st December! Good luck!